The development, which Mr. Wong says challenges three zoning regulations for the land, was brought forward by local architect Manu Chugh and has caused uproar among the community’s guardians. 150 businesses, residents and community members protested the application’s progression at City Hall; the proposal has now been referred until December, 2016. “The developer has asked for the removal of Chinatown’s 15-storey height restriction, they’ve asked for two-thirds commercial usage when the limit is currently 50 per cent and they’ve requested a land-use change to allow them a broader variety of commercial use than the land is currently zoned for,” Mr. Wong says. For Mr. Wong and other concerned business owners and residents, the unknowns of the proposed development pose too great a risk. Mr. Chugh says he’s been “a bit surprised” by the scale of the reaction his proposal has caused. “There’s been a lot of grandstanding,” he says of the community turnout at City Hall. “It’s all emotion and emotions are important but you don’t make planning decisions on that. Mr. Chugh says that, while the process has been “difficult,” he believes his development will be the catalyst to change Chinatown’s Area Redevelopment Plan, which will open the doors for other developers, whether the community likes it or not. Councillor Druh Farrell requested a scoping report and an eight-month city-led consultation, which will see the development brought back under consideration in December this year. Ms. Farrell believes Chinatown is at risk of two things: “Inappropriate developments, and stagnation, malnutrition.” She’s not prepared to protect the community from the former to the extent that it ends up with the latter. 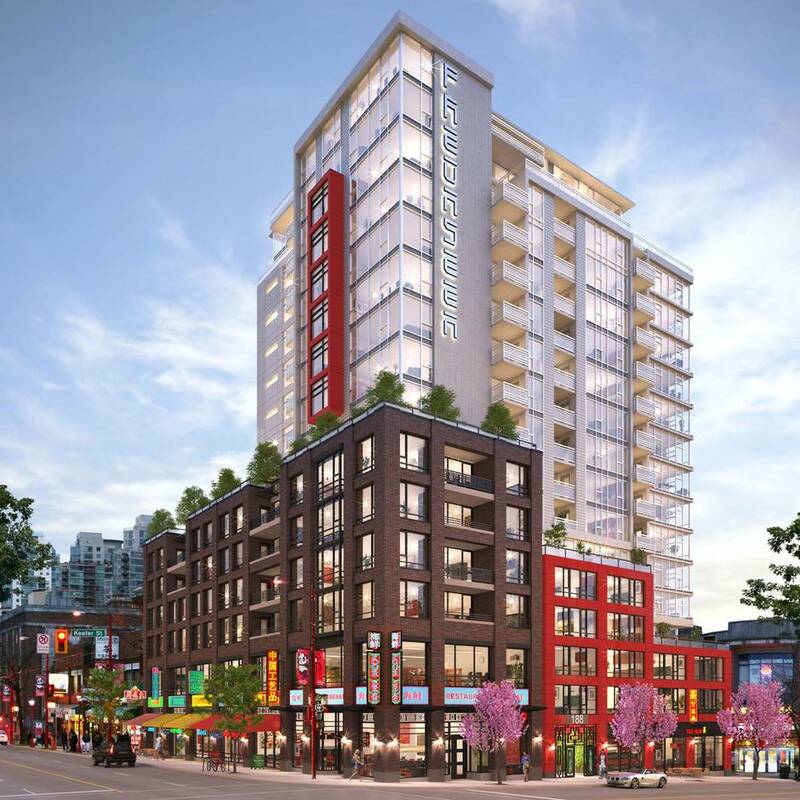 The City of Vancouver’s Chinatown has been the subject of a revitalization plan since 2001 because of “a general sense of decline which timed with a the proposed extension of the downtown core,” assistant director of planning Kevin McNaney says. Mr. McNaney says the projects successes will be measurable in the coming years with the completion of 550 affordable residential units by the end of 2016 and several new businesses taking up residence. This new custom is giving hope to businesses such as the iconic Foo’s Ho Ho, Canada’s oldest operating Chinese restaurant, which will re-open for business this year under new management. But the project hasn’t been without its critics. Mr. Wong is unconvinced this is the right direction for Calgary’s Chinatown. Ensuring the neighbourhood “feels like Chinatown” remains one of Mr. Wong’s top priorities for Calgary. 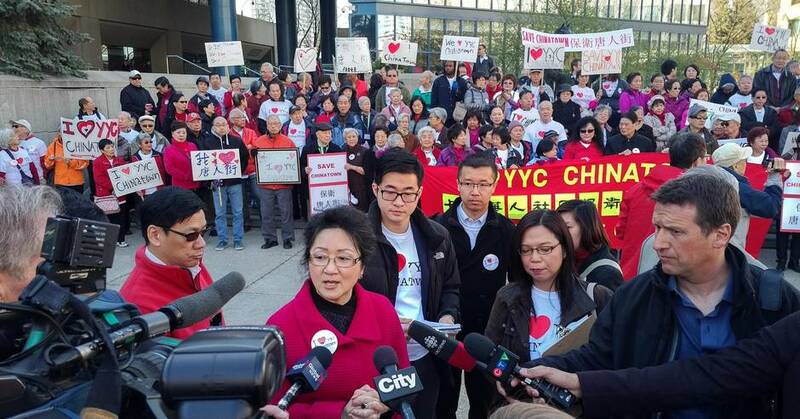 Young Chinese Calgarians showed their support for the cause by forming a group called I Love YYC Chinatown several weeks ago. It’s been raising awareness of the development online and on social media. Sylvia Leong, one of the founding members, believes the development application has simply brought to the fore challenges currently being faced by all North American Chinatowns. “There’s a need to evolve but also a need to maintain links to the past,” says the 33 year-old Chinese Malaysian, who was born and raised in Calgary. She, like many of her generation and younger, maintains that even though she doesn’t live there, Chinatown is still an important part of her heritage and the heritage of her family. She doesn’t agree with Mr. Chugh’s assertion that emotion should be left out of planning decisions. And perhaps the same could be said of Chinatown Calgary, as it struggles to define its future without losing sight of its past.